Approaching the Uplands Farm preserve, visitors drive down a narrow lane flanked by split rail fences and fields of wild grass. The road leads to a red brick barn crowned with a white cupola and wrought iron weathervane. The rustic scene recalls a time when cattle grazed the rolling hills of Cold Spring Harbor. The 93 acre preserve is one of 38 preserves that are maintained on Long Island by The Nature Conservancy. The farm has a long history of research and environmental activism. In the 1950’s, after its pastures were sprayed with DDT, Mrs. Jane Nichols, the daughter of J. P. Morgan, monitored the pesticide residue in the milk her Guernseys produced. The findings were used as evidence in a suit that led to the banning of DDT in 1973. A dedicated conservationist, Mrs. Nichols donated parts of the property, one of the last operating dairy farms on Long Island, to The Nature Conservancy in 1962. The rest was bequeathed to the organization on her death in 1981. The conservancy sold the mansion, built by Effingham Lawrence in 1917, to finance the upkeep of the preserve. Twelve acres were sold to Cold Spring Harbor Laboratory for an Agricultural Field Station in 1984. 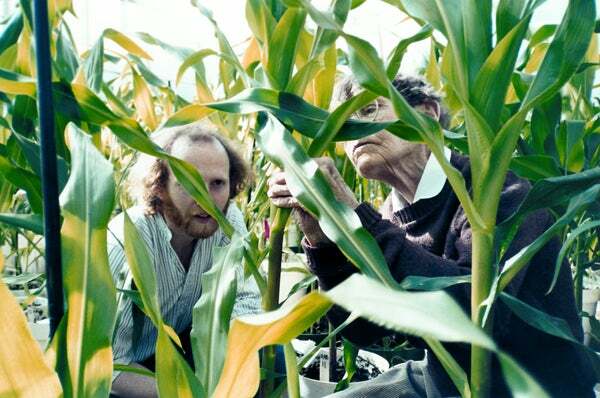 Barbara McClintock, the geneticist who received the Nobel Prize for experiments with maize, worked at the Uplands Farm Station in the last years of her career.